Nursing Care Plan: Idiopathic Pulmonary Fibrosis. In cases of Idiopathic Pulmonary Fibrosis nurses play an important role in providing supportive care but also education. (Duck, 2014). Since the disease is chronic and often affects older patients, comorbidities and polypharmacy play a significant role in how to help clients manage their condition. Continual monitoring of the disease is required as coughing and shortness of breath are common and oxygen use must be monitored with ineffective treatments being withdrawn. My background in health sciences will be an asset in helping me to understand how the social determinants of health contributed to the patients’ disease state and how they may impact his recovery process. Along with anatomy and physiology I will be able to understand some of the disease mechanisms of how the lungs and oxygen transport work. Lastly, pharmacology will have prepared me in understanding how drugs may improve this condition and the drug mechanisms, the class of drugs, and where to look up drug information to understand the role of the drug. While I feel confident in my ability to perform a respiratory assessment, at times I feel uncomfortable to use my knowledge to facilitate my understanding of what I may be looking for. However, I believe one of my greatest strengths is the ability to ask for help or to clarify my understanding of things when I am unsure. Having done some basic research into the condition, I feel that the client will likely be short of breath, have a significant cough, and be heavily reliant on oxygen to perform activities such as walking. Idiopathic pulmonary fibrosis is a rapid and progressive interstitial lung disease with no known cure that generally affects older adults (Duck, 2014). Patients can generally expect to live only 2-4 years from diagnosis. In this disease, the lungs often become scarred, causing the lungs to stiffen and become smaller, thereby allowing less oxygen to enter the lung due to the patient difficulty inhale. Patients typically present with breathlessness (also referred to as dyspnea) and a chronic dry cough (Lung.ca, 2014). However other symptoms can include chest pain, unexplained weight loss, loss of appetite, tiredness and the development of clubbed fingers. Exposure to smoke, environmental pollutants, dust, viral infections, gastroesophageal reflux disease often lead to alveolar epithelial damage (Godfrey, 2016). While there is no cure for the disease, several pharmacological treatments are used to slow the progression of the lung scarring. Some additional medications can be used to treat shortness of breath and cough. Depending on the severity of the condition, other treatments can include the use of: supplemental oxygen, pulmonary rehabilitation performed (ex. Exercise training), and the consideration of a lung transplant. Common findings during physical assessment can include: dyspnea, crackles in listening to lung cavity, some patients may exhibit digital clubbing, hypertension is common. When listening to the chest, patients may also present with a “P2 component of the second heart sound and tricuspid regurgitation murmur” (Godfrey, 2016). Pedal edema is also a common finding during the physical assessment. Additionally, a “right ventricular heave may be palpated at the lower left sternal border and increased right atrial pressure may cause elevation of the jugular venous pressure” (Godfrey, 2016). 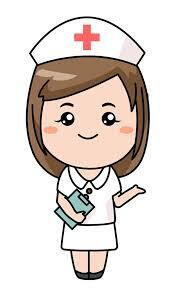 Nurses should take the time to sit with the patient and go through some respiratory education measures. This may include the need to quit smoking to help slow down disease progression, getting a flu shot, keeping away from individuals with chest colds, washing their hands, and staying as fit as possible (The Lung Association, 2014). If oxygen findings have been consistently low, upon discharge the nurse will need to ensure that the patient has been given education on their condition, supplemental oxygen has been prescribed by the physician, and respiratory services notified to help set up home oxygen. This measure will help the patient with reduce breathlessness and allow them to lead a more active lifestyle. Knowing the Individual . . .
What makes my patient different from or the same as the “typical” cases? What’s the “normal” (i.e., baseline) for my patient? Unfortunately, I was not able to converse much with my patient and was therefore unable to gain an understanding of his baseline and whether his condition was “within a normal” range for him. Patient is an older retired gentleman (mid-70’s) of Portuguese background. He was an ex-smoker. He was admitted to hospital a few times in 2017 and discharged. Medical record indicated he was a compliant patient with adhering to medication and oxygen requirements. He has a strong social support network indicating he will likely recover at home with proper medication and oxygen therapy. · Presumed idiopathic fibrosis which was diagnosed in 2017. · Reparatory team has been in to assess his condition and ensure orders for oxygen will be prepared and set up in his residence upon discharge. · Prednisone (50 mg) is a common drug used to treat breathing problems as it is a corticosteroid (WebMD, 2017). What do these findings mean for this patient? – Even though his hemoglobin is normal, if it were low it would increase pressure in the lungs. His oxygen saturation levels do drop upon activity which is also what causes his coughing and shortness of breath to appear. · Patient was very upbeat and talkative despite how difficult it might be to breathe at times. Was very engaged in the assessment and knew what the plan was for him to be discharged later in the day. · Patient expected to do well at home and was prepared with his own oxygen tank for the transport. · Patient also made the effort daily while in hospital to walk in the halls to the window and view the outside for both exercise and pleasure. · Despite needing to take multiple breaks to catch his breath (could recognize his own body signals) as a nurse I would be optimistic about the recovery process at home as he has both a strong support system with his sons, but also the support of the oxygenation team who would prepare for his return to his normal residence. Was ambulatory on his own and able to eat sitting upright in chair. Could walk down hall on own with assistance of a walker. Did have to take several breaks to catch breath (SOB on activity). No pain noted when assessing arms, legs, and chest areas. Dyspnea which is aggravated upon exertional activity. Was not coughing during assessment and stated he was not coughing during the night. Some crackles were heard when listening to the chest. Tanner, C. A., Benner, P., Chesla, C., Gordon, D.R. (1993). 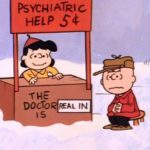 The phenomenology of knowing the patient. Image: Journal of Nursing Scholarship, 25 (4), 273-280. 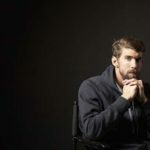 Previous Previous post: Michael Phelps on Life After Swimming and His Battle With Depression. Next Next post: What Not To Say To Those Struggling With Mental Illness.